Dave Wood called the meeting to order at 7:20 with a salute to the American flag. 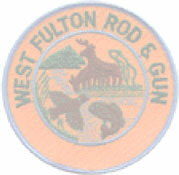 Present were representatives from: Middleburgh and West Fulton Rod & Gun Clubs, Central Bridge and Richmondville Fish and Game Clubs, Trout Unlimited, and the Schoharie County Chapter of Whitetails Unlimited, along with several SCCA associate members. Norm McBride  DEC Fish Biologist: Mr. McBride began with the 5/2 Trout Proposal, which has been discussed on numerous occasions at previous meetings. He pointed out that the Schoharie County clubs were the only clubs that were in support of this new proposal. Therefore the 5/2 Trout Proposal has been abandoned because of lack of support by the other county organizations. Regions 7 & 8 have adopted this 5/2 proposal. However, he did say the proposal may be reengineered and brought forward again sometime in the future. Norm informed us that DEC stocked approximately 300 nine (9) inch rainbow trout in the Cobleskill Holding Pond in June. This was a one-time deal, and was only done because there was a surplus of fish. Other waters throughout the state were stocked as well with these surplus fish, with the Cobleskill Holding Pond being the water body stocked in Schoharie County. Mr. McBride stated that the DEC electro-fished the Schoharie Reservoir this year to try and test the fish for mercury levels. All the fish collected are currently being evaluated and the data will be examined as it comes in, which should be around January or February. In 2001, all the fish caught measured high for mercury. They saw many large schools of alewives when they were doing their survey. Norm said if the alewife population continues to increase, the walleye population would be adversely affected. The Catskill Creek was surveyed as well, with wild trout being found abundant in the Schoharie County section of the creek. However, the rainbow trout population is done from past years. As with the Schoharie Reservoir, all the data collected will be reviewed this winter. Norm reported that the Beaver Kill has been going under a trout study over the past couple of years. From the data collected the DEC is going to implement the first therma implamation closure in the state. It was found that during certain periods of the summer the trout are pooling together in sections of the Beaver Kill where there are cold pools. DEC is trying to stop fisherman from stressing the already stressed fish in those pools. What this means is that from July 1  August 30 a section of the Beaver Kill will be closed to fishing. This section is from the Horton Bridge down to the first Route 17 overpass, approximately 600 yards long. It will take effect beginning in 2005. The DEC also radio-tagged brown trout fingerlings and 2-year olds in this study, to determine the movement of the fish at different stages of its life. It was determined that at least five (5) were eaten by mergansers (4 fingerlings and one 2-year old). A big problem was that tags were found, but they were unable to tell if the tag fell out or the fish had died. Norm then brought up the Schoharie Creek. On his previous visit with us we had asked Norm various questions about walleyes in the creek and the possibility of having them stocked, and now he had some information for us. In 1924-1933 the Schoharie Creek was stocked with walleye, along with numerous other fish, such as small mouth bass and brown trout. In 1934 a biological survey of the Mohawk Watershed was done from the mouth of the Schoharie Creek to its headwaters. The survey found warm water and all cold water stocking was stopped. On July 20, 1973 another survey was done in a pool at the Blenheim Gilboa Dam and walleye were found. In 1977, a survey was done at selected pools between the Mohawk and Middleburgh. The results from that changed the current bass regulations. In 1985 the lower half of the Schoharie Creek, just up from the Mohawk River, and they determined this section of the Creek was not a Mohawk River walleye fishery. In 1990, a survey done in Burtonville, Montgomery County found 30 small mouth bass and 15 walleye. Mr. McBride needs more information if he will ever be able to recommend that the Schoharie Creek be stocked with walleye. He suggested that the local clubs find individuals that could fill out Angler Diaries to help record information for him. If interested contact 234-8804 Ray Zeh. Finally we asked Norm questions, and voiced our concerns. The question was asked, why we couldnt have more fish stocked in the Cobleskill Holding Pond. Mr. McBride stated that the amount of fish stocked in the Holding Pond was figured out mathematically, based on the size the water body and the amount of fish it can sustain. Therefore, based on the formula used, 400 fish are stocked in the Holding Pond each year. He was then asked about 2-year old fish, why they arent stocked. Norm pointed out that the 2-year olds go to bodies of water that receive large stockings, and that no water body in Schoharie County receives large stockings. The closest water bodies that do are the Schenevus Creek in Otsego County and the Catskill Creek in Greene County. A large stocking is one of at least 1000 fish. We then asked Norm about the stocking of the Blenheim Gilboa Reservoir. He informed us that the DEC does not stock that, and will not unless access is granted to the public. He suggested that we draft a letter to reopen the Reservoir and send it to our governmental representatives. He also suggested we do some research on there legal right to keep the Reservoir closed. As a comparison, all NYC watershed reservoirs are reopened to boating (no motors). New York State Conservation Council: Currently we have a membership drive push. If you are not a member please visit our website at: http: www.nyscc.com to join. If you are a member please encourage others to sign up. These memberships would also make excellent gifts for friends and relatives  boys & girls. The cost is $25 for Guardian, $60 for Defender and $250 for Life Membership. This includes a monthly newsletter with your membership. The Council is pushing sporting clubs that are in cities throughout the state to join as well. Any Clubs that are interested in getting permits to hunt watershed lands should contact Jennifer A. Cairo, NYCDEP at (845-340-7517) or e-mail jcairo@dep.nyc.gov. Representative Ed Zamjohn (234-2098) - Ed reported that the Trailblazer Adventure Program, which was held at Thompson Lake State Park, on October 18, was a success. There were a lot of Boy Scouts there with their families. However, recent editorial articles written in the newspaper following the event questioning the link of sportsman and the boy scouts tried to spoil it. We cant let these editorials that question the traditions and beliefs we hold dear to go unanswered. Remain diligent in defending them, whether by word of mouth or through the local newspaper editorials. Here is a message sent to Ed Zamjohn from a defendant of the NRA. Pete Innes: Restrictions being set on number of campers, 12 or more need special permit for camping on State land and 20 or more require special permit for camping on Wilderness land. River otter - Season closed in the Catskills. 330 Trap is designed to catch beaver if location of trap is set correctly. Habitat Stamp - $45,000 in account as of 10/22/03 Need to promote stamp more - Get Clubs behind promotion. LT. Desko; 30 Positions for DEC Econ & Forest Ranger Academy. Still waiting on NY State budget funding. Looking for support to get a waiver from Legislators (Assemble & Senate). Only two Encon Officers in Delaware Co. & 2 Encon Officers in Green Co. Discussed severe staff shortages at Rome & Catskill (DeBruce) fish hatcheries. Will cut 50,000 at each hatchery. Middleburgh Rod & Gun Club  John Bloomer has stopped running Trap Shooting on Friday nights. Will start again in early Spring. December 2003 Raffle - Tickets or Money has to be turned in Dec. 1 to Bob Britton, 7-9 PM at the clubhouse. The Kids archery program will start up the first Saturday in January - POC is Ed Labaida 868-2025 or Neal Bauman 295-7669. Adult archery will run again on Tues., Thurs. & Saturday nights starting 1st week in January. Total membership in club is at 322 with 115 life members. The Rod & Gun Club has a new Internet website: http://www.middleburghrg.com and we need help with information to update this website. Call John Osisinki 827-5429 or Pete Lucas 827-7620. 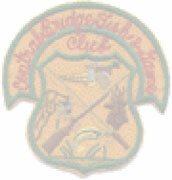 SUNY Cobleskill Fish and Wildlife Club  The club is planning a lot for the year to come. One activity, which is being considered, is a club fishing trip. The wildlife clubs ATV raffle did not go as planned, therefore it has been cancelled and refunds will be mailed out. Venison Donation Program  Dont forget about donating. Anyone who donates a whole deer will have a chance of wining a muzzleloader Black powder Gun donated by Whitetails Unlimited. The next meeting will be held again at SUNY Cobleskill Curtis Mott Hall on the November 20 at 7:00. Our guest speaker hopefully will be Richard Ball from the Schoharie County Farm Bureau.